Thank you to the American Holistic Nurses Association who wrote about the National Nurse proposal in their March 2007 Newsletter. The National Nursing Network Organization is appreciative of the work the AHNA is doing to help spread the word about the need to create an Office of the National Nurse. As a result of this publication, many nurses have been signing the on line petition and also writing in their comments of support. One nurse stated: Terrific idea. I support it totally. Let me know what else needs to be done. Please know that it is our individual and collective power that will make the difference in seeing the Office of the National Nurse come to fruition. Just what we need, another government agency! More taxpayer dollars down the drain. Get your facts straight before you start taking potshots at a great idea. The Office of the National Nurse will work within an existing government agency, delivering the message of prevention, which is the key to keeping people healthy. Healthier citizens +lower health care costs= less taxpayer dollars down the drain. It’s a no-brainer. Cigarette smoking is the single most preventable cause of disease and death in the United States. Smoking is a major risk factor for heart disease, stroke, lung and bladder cancer, and chronic lung diseases. Smoking during pregnancy can result in miscarriages, premature delivery, and sudden infant death syndrome. Environmental tobacco smoke (ETS) increases the risk of heart disease and significant lung condition, especially asthma and bronchitis in children. ETS is responsible for an estimated 3,000 lung cancer deaths each year among adult non-smokers. Healthy People 2010. 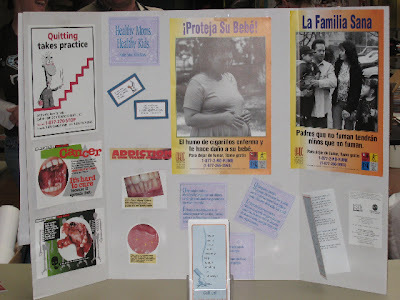 Healthy People 2010 objectives focus on smoking cessation by adults and adolescents, including during pregnancy. The goal is to reduce illness, disability, and death related to tobacco use and exposure to secondhand smoke. Teaching and health promotion is part of being a nurse and key towards accomplishing the above objectives. With this in mind undergraduate student nurses attending Portland Community College gathered pamphlets, magazines, hotline cards, posters, diary logs, calendars, and other resources and spent one day on campus educating students, faculty, and staff about the importance of quitting smoking and some first steps on how to accomplish this. At the end of the day, participating students felt they were able to promote health to many students, increase knowledge, and motivate few more tobacco users to quit. All of this is progress towards the objectives of Healthy People 2010. Smoking is also known to lower testosterone levels in men , although it blocks estrogen formations as well. 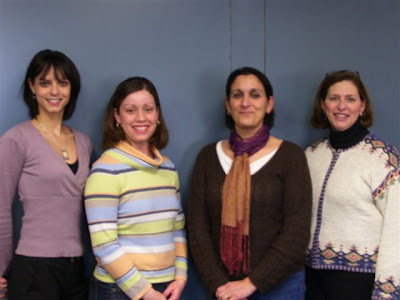 Graduate nursing students attending the University of Michigan chose the Office of the National Nurse as the topic to present as a group project for their Strategies for Nursing and Healthcare course. The criteria for this Policy Project included choosing a relevant political topic and relating its political importance to nursing. The Office of the National Nurse exemplifies the united voice that nursing needs to promote current issues such as health promotion and access to care as has been previously described. The students are still in the early stages of their project. They plan to examine, critique and present a comprehensive non-biased view of the National Nurse Act of 2006 to their class including the pros and cons and input from a variety of stakeholders. One of the suggestions that has come out of this study is adding an incentive such as receiving continuing education hours based on the number of volunteer hours a nurse particpates on a community based team. This could be accomplished through an ammendment to the state regulations for RN licensure. High! Interesting blog you have here. I like it! Great job wolverines!! GO BLUE! 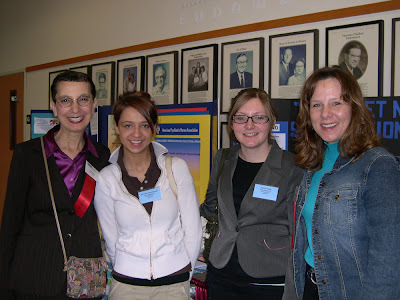 Wendy H. Vogel, RN, MSN, FNP, AOCNP from Bristol, Tennessee, the coordinator of the Oncology Nurse Practitioner Special Interest Group writes a poignant introduction to the March 2007 newsletter. The title, SIG Members Should Collaborate to Accomplish Goals says it all. The current problems in nursing including the workforce shortage, the budget cuts to public health nursing, cuts to nurse educator grants, not to mention the ongoing crisis in a sick care system that is becoming more expensive and inaccessible every day, will only be solved by the nursing community coming together to find solutions. Vogel calls for all NPs in the ONS to become collaborationists and says they must work together to address the many problems that healthcare faces today. Vogel states nurses also must reach beyond ourselves to partner with others to achieve this purpose. Besides common goals and shared objectives, collaboration calls for mutual trust and respect, open communication, and complementary yet diverse skills and knowledge. Collaboration allows us to see beyond our own limited boundaries and beliefs to examine other ideas and viewpoints and enables us to conceive results that would not be possible alone. Vogel encourages her readers to provide their collaborative support of the National Nurse Act. Also included in this newsletter is an article written by Teri Mills, President of the National Nursing Network Organization, that describes how the campaign for an Office of the National Nurse began and how nurses can become involved to move the proposal forward in the 110th Congress. It is by what we ourselves have done, and not by what others have done for us, that we shall be remembered in after ages. Thank you to registered nurse, Barbara Ficarra, who chose to publish A National Nurse to Deliver the Message of Prevention, written by Lillian Gonzalez BSN, RN. Ficarra's website, Health in 30 is dedicated to the responsible sharing of information in the healthcare industry and is an extension of her New York City radio program. Health in 30 airs live every Friday from 5:30 p.m. to 6:00 p.m. EST, on WRCR AM 1300 Radio Rockland. Gonzalez's article highlights the fact that Americans are bombarded with inaccurate and inconsistent health information. She uses her own personal stories to demonstrate this, talking about experiencing symptoms of rheumatoid arthritis. Although she is a nurse, she found that she had to work to decipher complex information to learn how to prevent and stop her symptoms. What about the majority of Americans who have no medical or health background? Who can they turn to when they are suffering and finding it harder every day to live healthy lives? Gonzalez urges her readers to find out why thousands of nurses are now supporting the campaign to create an Office of the National Nurse. Nurses are best positioned to deliver the message of prevention, and it is time for our entire country to join together and profit individually and collectively in living healthier lives through the teachings from a National Nurse and teams of volunteer nurses in every community. Barbara Ficarra asks for opinions about the National Nurse proposal. Please take a look at this A National Nurse to Deliver the Message of Prevention and you will find a link at the end of the story to send her your thoughts. The National Nurse Team wants to thank Kim McAllister, ASN, RN for supporting the establishment of the Office of the National Nurse. Kim wrote to the editor of AJN, and her letter was published in this month’s edition of the magazine. “I wish that the American Nurses Association (ANA) would support the national nurse movement (In the News, The Campaign for a National Nurse, December 2006). While we need to support nurses who are the profession's advocates, what we really need are new nurses. A visible, articulate national nurse would facilitate nursing recruitment through television appearances and radio announcements and encourage people to enter the profession. Once again, Kim, thank you for your support. 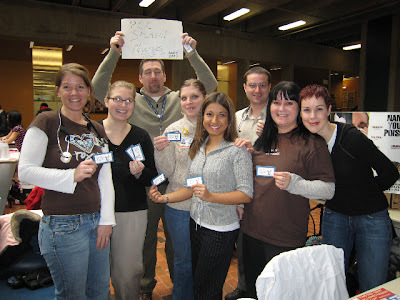 The theme of the 2007 Oregon Student Nurse Association's convention was Mission Possible. 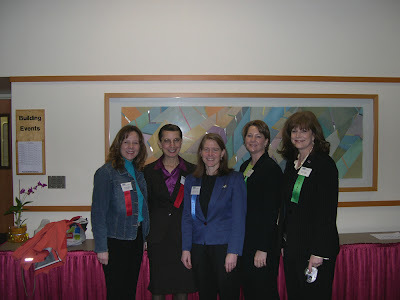 Alisa and Teri would like to thank the OSNA Board of Directors, including President Kay Kohlmeyer (pictured above, far right) and conference chair Kris Weymann (pictured above, center) for inviting them to speak to nearly 100 students who attended the session, "The Office of the National Nurse: Leadership for a New Generation". Teri and Alisa told nursing's future that our country is in the midst of a health care crisis as evidenced by increasing numbers of uninsured, rising health care costs, epidemics of preventable health conditions, and cyclic shortages of health care workers, including nurses. We will need inspiration, innovation, and new ideas to help to solve some of the problems. Participants heard a call to action, that nurses are positioned to contribute valuable health services and could provide the necessary leadership to improve the country's health by utilizing the now nearly 3 million nurses in the United States for teaching Americans ways to stay healthy and to focus the nation's attention on preention of illness, thus minimizing the need for sick care. All students were encouraged to become involved in the National Nurse campaign, because it is with their help and leadership that the Office of the National Nurse will become a reality in their lifetimes. Teri and Alisa were interviewed after their talk by the two high school students pictured above. These students were very interested in learning about ways to volunteer in the health care field and are considering nursing as their career. We would welcome them with open arms. 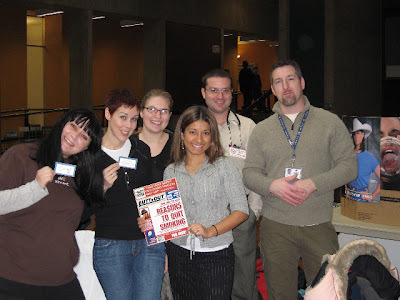 Thank you to Stressed Out Nurses, a new website originating in Massachusetts, who today posted the story, Campaigning for the Office of the National Nurse. The story highlights the efforts of Eric Hinestroza, a second-year nursing student at Ocean County College in Toms River, New Jersey, to pass a resolution in support of creating an Office of the National Nurse. Hinestoza is the Resolutions Director for the New Jersey State Student Nurses Association, and gave a speech in Atlantic City two weeks ago that resulted in unanimous support for his resolution at the NJSNA Convention. Now he is on to Anaheim, California, where he hopes to see the same result at the National Student Nurses Association Convention. 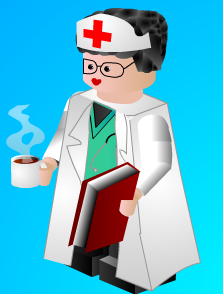 Stressed Out Nurses is dedicated to educating, entertaining, and relieving stress for students and new nurses. The site eventually plans to include a discussion board, a bunch of contests, polls, stress tests, and a blog so that anyone can post a story, a question, or a thought. 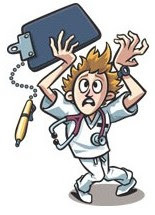 It’s also to make individuals in nursing aware of our series of Stressed Out books and Quick-E Clinical pocket guides. Thank you Kathy Sharp and the NE Tennessee Nurse Practitioner Association for this letter of support and for your offer of assistance! excellent healthcare, paralleled those of this important new office. no one better to lead this initiative than a nurse. profession, provide clear vision, and change the traditional image of nursing. the under girding of the nation’s health care for more than a century. We wish you much success and are happy to assist you in this campaign! Unitek College introduces a brand new LVN to RN Associate Degree Program in Fremont CA beginning on April 2nd. Upon completion graduates are awarded an associate of science degree in nursing and are eligible to take the NCLEX-RN examination. This LVN to RN program DOES NOT HAVE A WAITLIST! Become a Registered Nurse in 32 weeks! The program consists of 2 semesters with each semester lasting 16 weeks. A student will attend classes taught by Mastered degree nurses approximately 27 to 32 hours per week to include all required Theory, Clinical and Lab hours. The students have a state of the art clinical lab that includes male, female and baby mannequins for real life simulations to ensure student success. Unitek College has a unique NCLEX-RN passing assistance guarantee that includes additional tutoring throughout the entire program for student success. Unitek College has a new LVN to RN program starting in Fremont CA on April 2nd. There is no wait list for enrollment. This program is open to currently Licensed LVN's who have one year of experience working in the field. Upon completion graduates are awarded an associate of science degree in nursing You could become a Registered Nurse before the end of the year!